I am trying to use model builder to create a number of DEMs from LiDAR point clouds. To do so, I need to filter the point clouds for ground points only and then convert the points to raster. In the past, I have used the tool "LAS Dataset to Raster" but I am unable to set the filters through this tool. (I would have to go into the properties of each layer individually and set the filter which is not an option for the number of files I have). 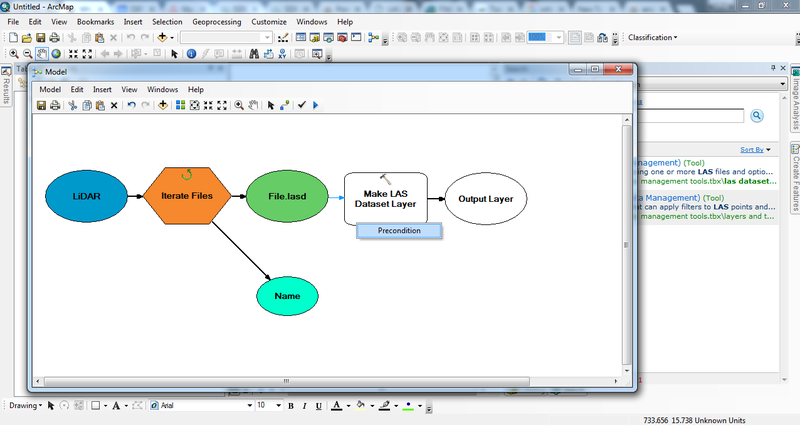 In searching other questions, I saw that the tool "Make LAS Dataset Layer" allows me to set the filters and combined with "LAS Dataset to Raster" I can set the filters and create the DEM through model builder (see this question and answer: How to specify LAS dataset filters in ArcMap ModelBuilder?). My lingering issue is that I cannot get any of the iterators to work with lasd files. And when I try to connect the iterator to "Make LAS Dataset Layer", my only option is as a precondition. How do I connect this process to an iterator with lasd files? I was able to get this to work and wanted to post my final solution. I used @jbalk 's answer with a Parse Path. I used Iterate Multivalue (input the lasd files). I connected the Value output to Make LAS Dataset Layer where I set the filter to 2, 8, and 9. I also added the tool "Parse Path" to get the file name to use in the name outputs for both Make LAS Dataset Layer and LAS Dataset to Raster. 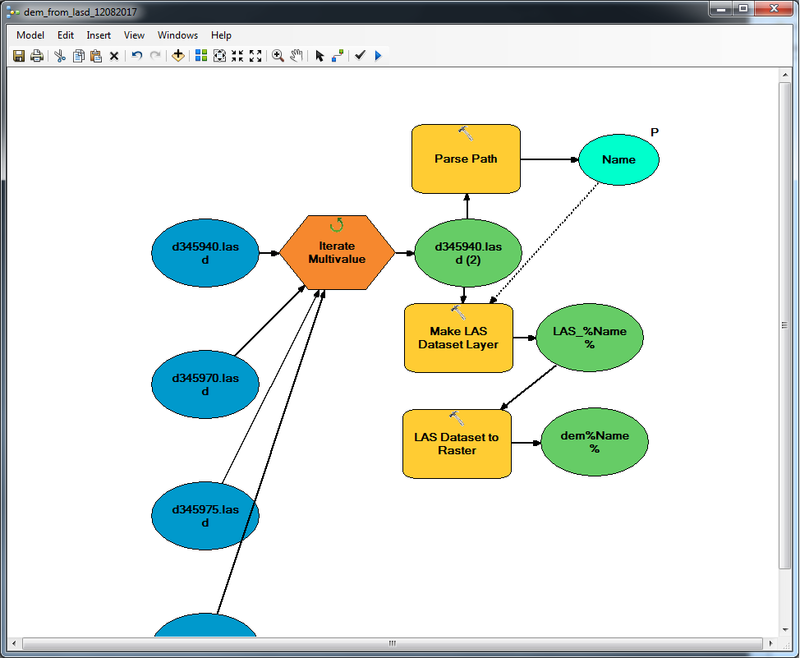 The parse path name must be set as a precondition to Make LAS Dataset Layer. I attached a screenshot so it's clear. The trick is to use the model only tool Calculate Value to "convert" the output of the iterator to a LAS dataset. All I did is shown below then it can be connected to the Make LAS Dataset Layer tool. Not the answer you're looking for? Browse other questions tagged arcgis-desktop modelbuilder lidar iterator lasd or ask your own question. 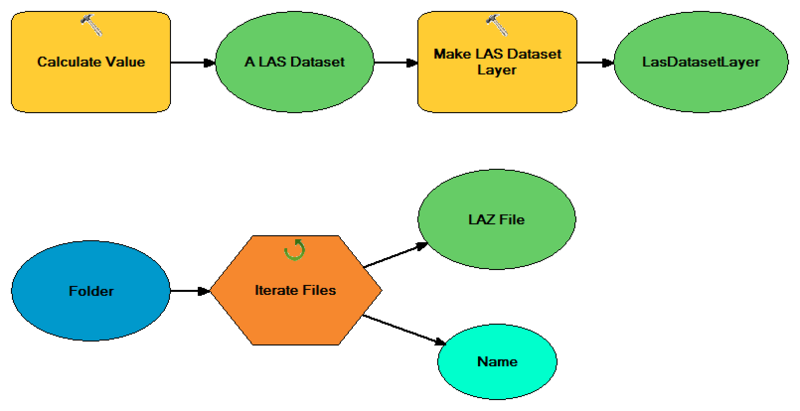 Creating multiple LAS datasets from LiDAR files in various directories using model builder? 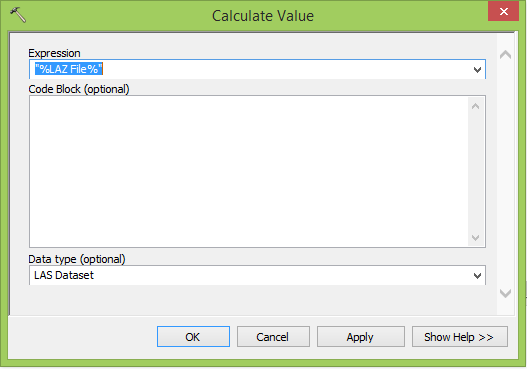 Choosing Iterator when using TAB Reader in ArcGIS ModelBuilder? Enabling Surface Constraints on a LASD in ModelBuilder? Using ModelBuilder to calculate multiple polygon areas into one table?